Love to make an entrance? 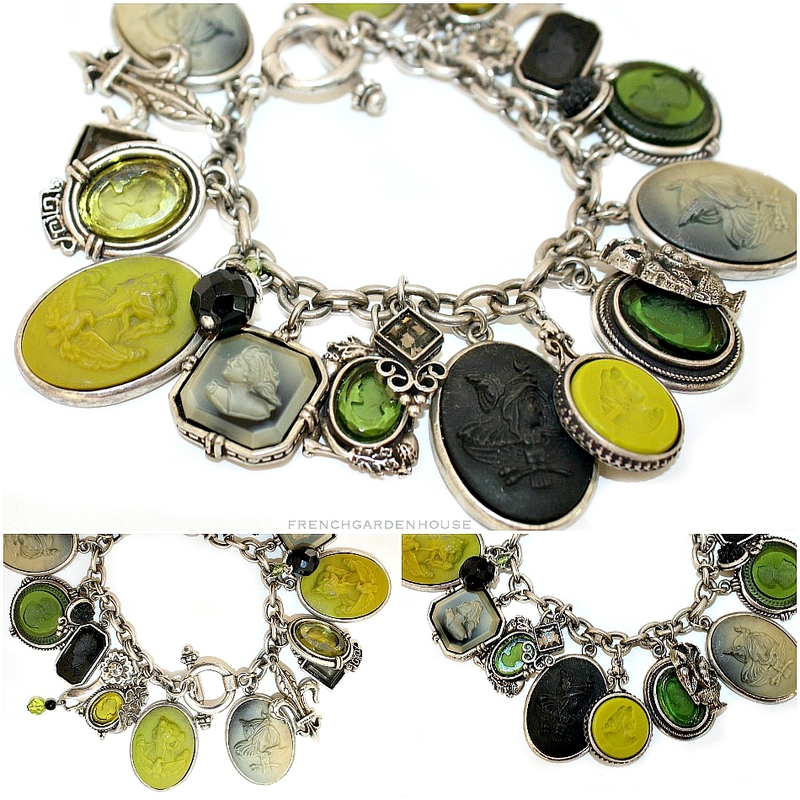 Our exquisite Silver Mythology Charm Bracelet is so dramatic and drop dead gorgeous, all eyes will be on you! 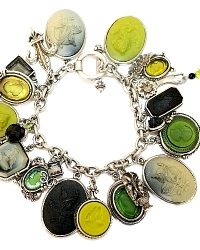 The opaque neutral mix of Jet, Amethyst, Agate Green, Acide Green, Smokey Grey, Dove Grey, Lava and Black Cameos and German glass intaglios are classic and elegant. Beautiful Greek mythology portraits in the largest ovals are stunning, this is an exceptional addition to your luxury jewelry collection. 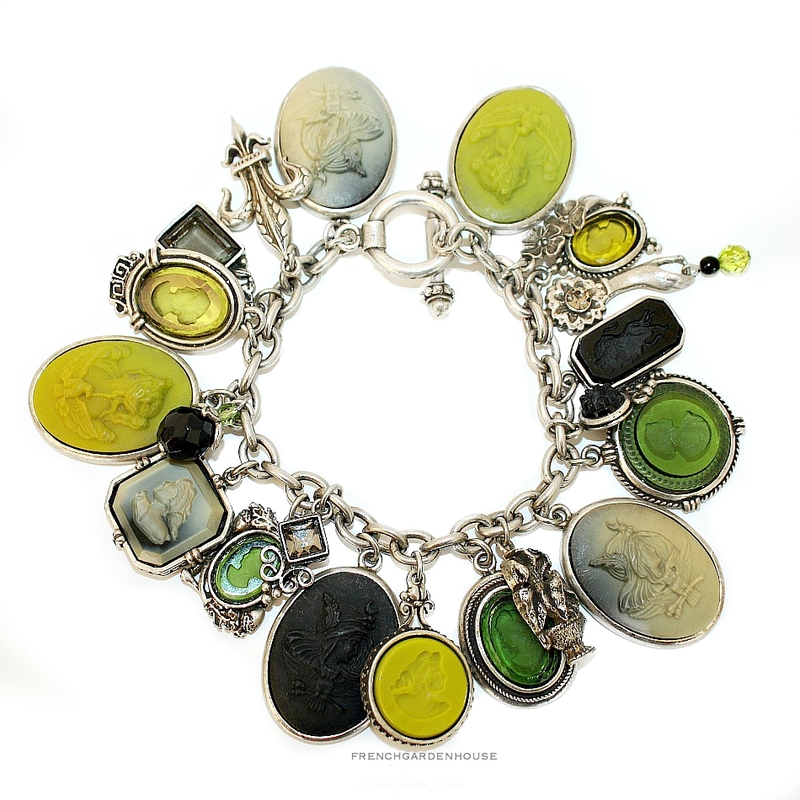 Twenty charms embellish this link bracelet, the hand pressed German Glass Intaglios were made using original antique steel molds and techniques unchanged from the 1800s. The largest cameo of Minerva measures 1~1/4"l.